The 2015 Lunar New Year (also known as Chinese New Year) is celebrated by most Chinese in various parts of the world. Each year is represented by a Zodiac animal and this forthcoming year will be the Year of the Sheep. There are 12 Zodiac animals take its turn every 12 years, and the Lunar Year follows the Lunar Calendar. It is kinda of difficult to explain the Lunar Calendar that some years will have 13 months instead of 12 in the Gregorian Calendar as most people are familiar with. Chinese celebrates the Lunar New Year (usually for the first 15 days) with loads of goodies, exchange of mandarin oranges, giving out red packets (commonly known as “Ang Pow”) and worth mentioning is all the lucky verses and words to use during visitations to relatives and friends’ houses. Noticeably, most of the goodies are sweet which means after eating these sweet stuff, one will have a sweet year ahead! So, what has this recipe got to do with the Lunar New Year? Actually, nothing. I used to bake the Lunar New Year cookies for own consumption and ever since my oven decided to leave me for good, I haven’t get a replacement. This year, I am supposed to host some friends to my house for the Lunar New Year gathering and I hope to make some sweet healthy stuff for them. I don’t have an oven, I cannot bake. And, my time is a constrain too so I need something very easy and quick to make. Flipping through the recipe book (called, “A Good Baking Day”) which I bought during my New Zealand trip, I chanced upon the Almond Tahini Balls recipe. I have all the ingredients at home and the whole process from preparation of ingredients to sending the final products to the refrigerator takes barely 10 minutes. Fantastically, there is no cooking required too! That’s it! I am going to try making this. 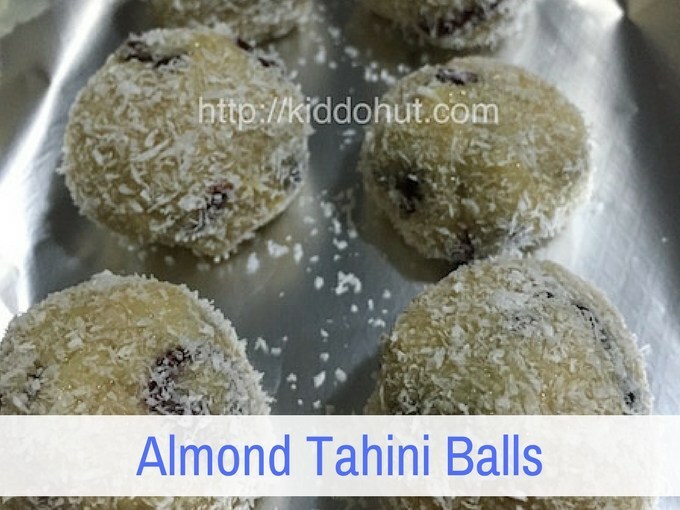 The Almond Tahini Balls are sweet with the sesame fragrance, chewy and crunchy at the same time, as well as fruity! Meets all criteria I have as a Lunar New Year goodies. 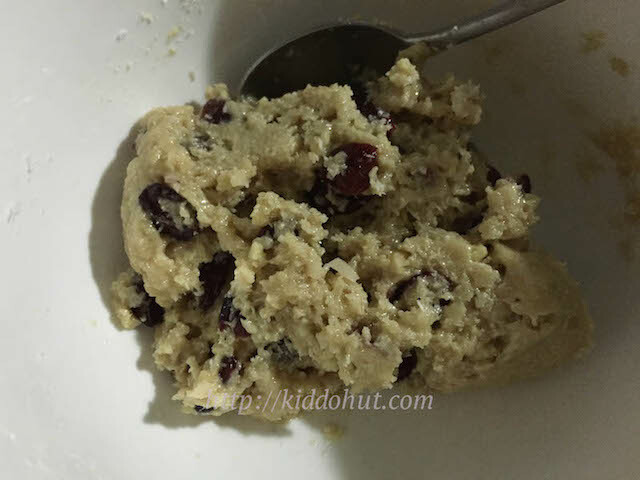 Are you looking for fast and easy recipe too? Here it is! 1. Mix honey and Tahini well. 2. Add in all other ingredients to the honey tahini mixture and mix well to make a stiff mixture. Add more coconut if necessary. 3. 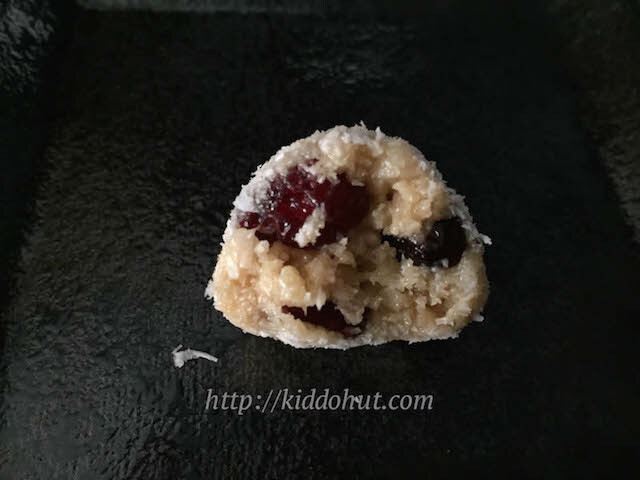 Shape into balls and coat with coconut or chopped almond. 4. Chill it in fridge before serve.